Gear-up for special ops with this Barska® 1-4x28 IR SWAT-AR Tactical Scope. True, 1X magnification lets you use the Scope with your iron sights. When you need some long-ranging power, crank up the magnification to 4X to see it all up close. The glass-etched Mil Dot reticle illuminates from black to red for low-light targeting or green for daylight targeting. 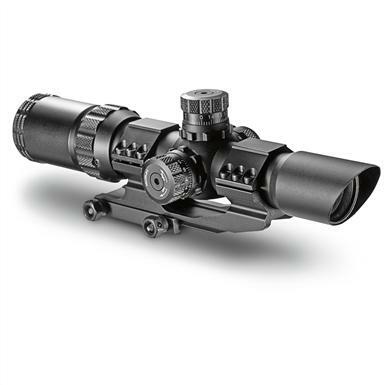 Barska SWAT-AR, 1-4x28mm, Illuminated Mil-Dot, Rifle Scope is rated 4.5 out of 5 by 18. Rated 5 out of 5 by seikosr from Great price Better than expected and was able to perform better than my expectations. Rated 5 out of 5 by LarryAR15 from Holds zoreo n was works great!!! No complaint's at all!!! Rated 5 out of 5 by JamesV from Hard to beat! If you're building an AR on a budget, this is definitely your scope. I paired this with an Anderson flat top and couldn't be happier. Crisp optics with no noticeable barrel flare. 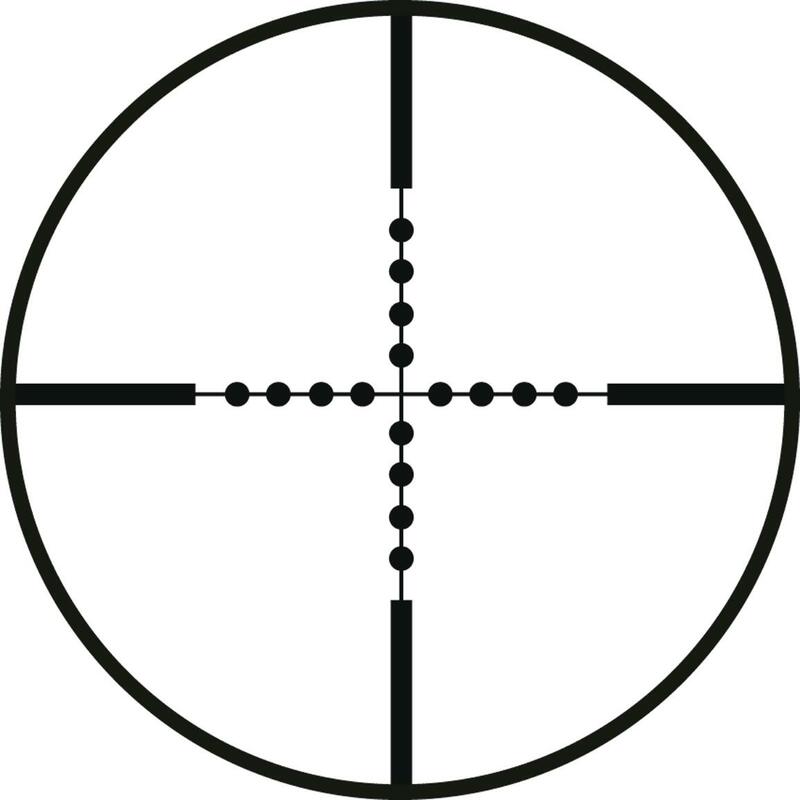 Easy to focus the objective and zeroed in one mag. Rated 5 out of 5 by Scott from Excellent price This scope is amazing and I would have expected to pay much more and could have if I hadn't given this one a chance. Would definitely purchase again and have told friends about it. I have even let my buddies try it out and they were impressed. I am teaching my wife to shoot and its easy for her to grasp the concept with this scope. I have shot 600 yards and hit steel. Thank you. Rated 4 out of 5 by Joe P from Great product for the price. Rated 5 out of 5 by Retired9 from Looks well made for this price point. My first scope so I'm no expert. Seems well made. Had no problem zeroing at 25 yards in indoor range. Should be fun at outdoor range after winter. Rated 5 out of 5 by Logger from Good value Works great on my MSAR carbine. Just the right size. Mount tends to loosen up a bit, but otherwise fits the bill nicely for close quarter and distance shooting.